Phraya Singhanat Racha Memorial situated at the foot of Doi Kong Mu, this monument commemorates the first governor of Mae Hong Son. Phraya Singhanat Racha is a Thai Yai native from Burma (Myanmar). He was regarded by the people as the governor of Khun Yuam Town, which was to the south of Mae Hong Son. Later, he was officially installed as the governor of Mae Hong Son by the King of Lanna in 1874. 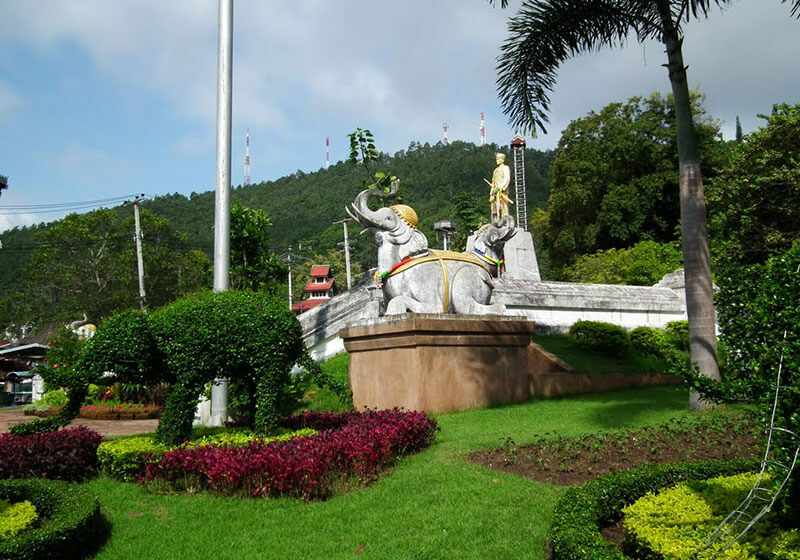 Short Description: Phraya Singhanatracha Monument, the first ruler of Mae Hong Son, standing tall by the route 108 south of town not far from the bus station. Near the morning market. You can get cheap local fruits here. Locals come to offer prayers at the monuments.